In 1978 the Berlin Wall was not an object coveted by the city's population, nor the historical enigma it represents today. In a photographic survey of some 160 kilometres of wall, Hans W. Mende captured not just border installations but, in particular, the development of urban spaces close to the frontier. 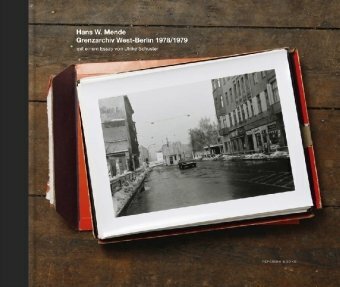 Now the Wall is gone, Mende's haunting, wintry border images form a stark record of a lost phenomenon, and a lost era of urban change, desolation and development.